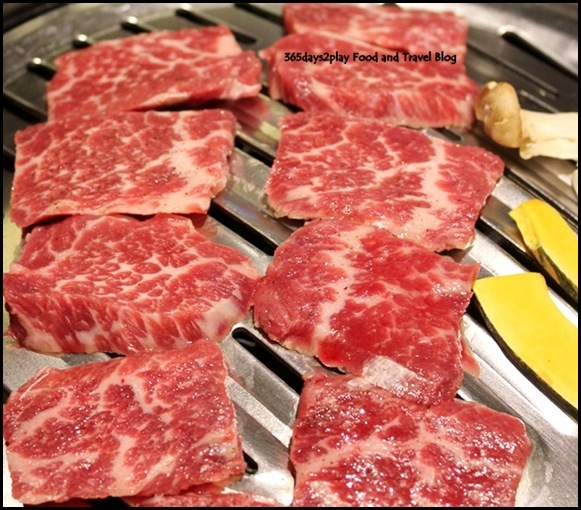 Recently I was invited to try out Bornga, a Korean BBQ Restaurant at Star Vista. I am no expert when it comes to Korean BBQ, having been to only one other a couple of years back at the Esplanade. Which was why I was quite happy to make the trek to Star Vista, even though I live on the opposite end of Singapore. 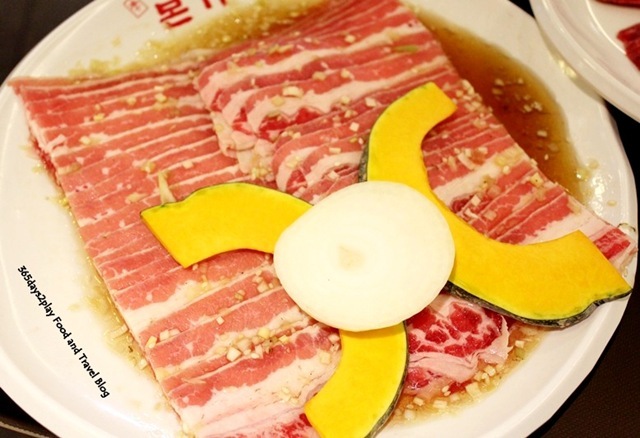 Established in 2002, Bornga is a BBQ chain restaurant in Korea, and is the brainchild of Jong Won Paik, one of Korea’s most renown celebrity chefs. 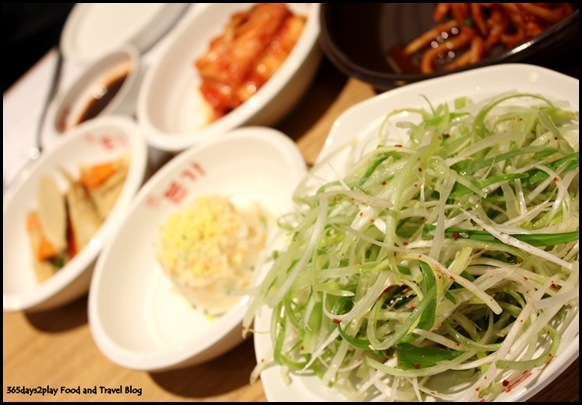 The opening of Singapore’s restaurant marks the 1st in Singapore and the 13th outlet outside of Korea. You can now find Bornga in China, Indonesia and even one outlet in USA, as well as 33 others in Korea. Be warned, I will be inundating you with numerous pictures of raw meat. I sure hope pictures of raw meat turns you on, because I sure am getting hungrier as we speak. Okay let me first start with something less bloody…the side dishes. 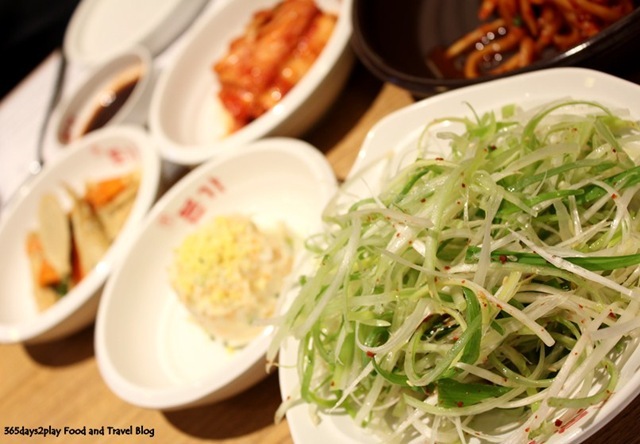 As you know, all Korean meals are accompanied with a variety of small side dishes. I am in awe of all Korean housewives, how they must slave over the stove having to prepare so many different things. First up, the Ggot Sal, which is boneless and tender prime beef cuts served non-marinated so that guests can enjoy its deep beef flavour. Now I often hear people saying “oh this meat is great, the beef flavour is not so strong!” and nothing irks me more than to hear those kinds of statements. I’m like, why did you bother to order the dish if you didn’t want to taste it? Notice the rich marbling, which I’m sure is a huge turn on for anyone who loves his meat. 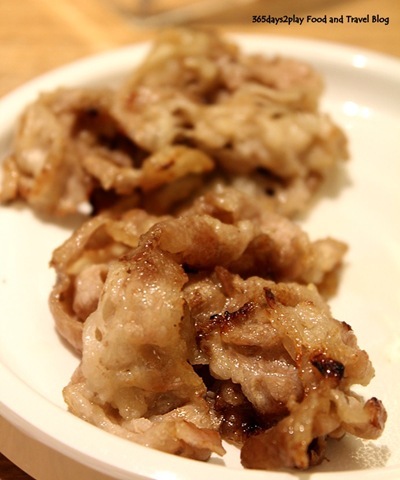 This is one of the favourite dishes in Bornga. Apparently the recipe is patented as the beef slices are seasoned in Bornga’s secret marinade. 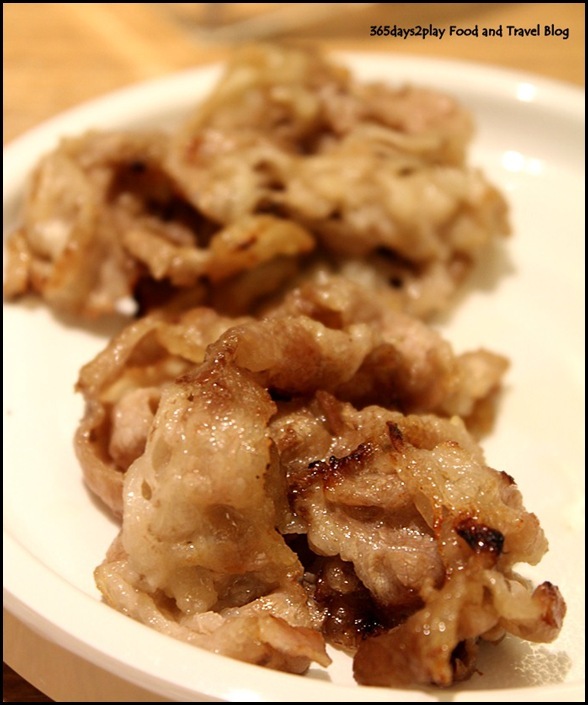 Unlike the typical Korean BBQ dish of bulgogi which usually appears dull after marinating for at least half a day in dark-coloured sauce, Bornga’s Woo Samgyup is served shortly after being doused in the dressing that retains the meat’s natural colour, while enhancing the traditional bulgogi taste. 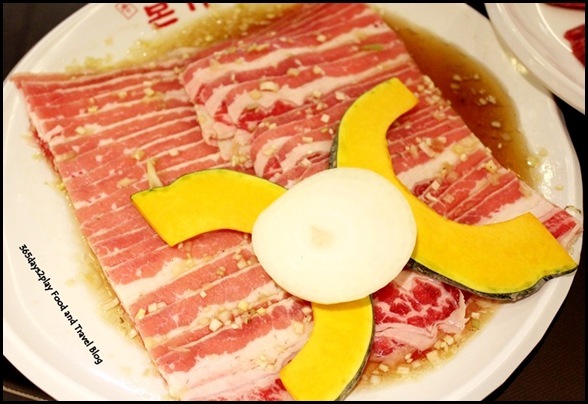 While the meat tasted great, I think they can do away with the pumpkin slices as it just looks weird….don’t you think? This is how the Woo Samgyup looked like after being BBQed. Loved the aroma and flavour of the BBQ meat for both the meat dishes I have featured so far. 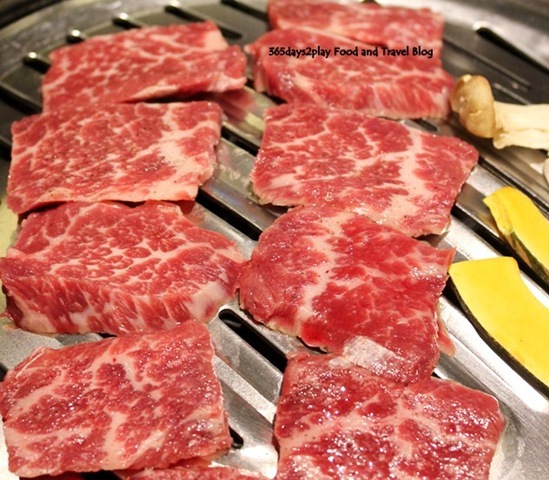 Certainly, keep your calorie counter at home when dining at a Korean BBQ restaurant but it’s well worth the calories! I’m afraid I was a little too busy wolfing the slices down to really pay attention to what Ivy from FoodNews was saying.